ABCC is an registered Australian not-for-profit association (NFP) dedicated to serving its members at the highest standards. In order to provide our members with the maximum benefits, we welcome the support of sponsors in a variety of industries. Further, if advertising, cross-marketing, PR exposure is available to your organisation, we invite you to form a collaboration in our endeavors and become a sponsor. Sponsorship will greatly enhance the exposure and brand awareness of your organisation to our members, corporate and government participants, and the general public in Australia and Brazil. Furthermore, we will provide you with a complimentary membership to our Australia-Brazil Chamber of Commerce. For more information on Sponsorship Packages, please contact our office. ​Corrs Chambers Westgarth is a premium independent law firm with a history spanning more than 170 years. Corrs has offices in Sydney, Melbourne, Brisbane and Perth as well as a strong partnering relationships throughout the world. Corrs’ independence and its network of the world’s best independent firms provide a competitive advantage for its clients. With more than 600 lawyers, including 120 partners, Corrs is consistently recognised for world class services and results. In 2015, 57 of its partners and special counsel were named leading lawyers in Chambers Asia Pacific and Global Guides and 129 were listed as Best Lawyers in the annual Best Lawyers peer review. SalDoce Fine Foods is an Australian family-owned company pioneer in manufacturing allergen sensitive and gluten free foods. Since the year 2000, SalDoce is proud to have introduced many baking mixes to the Australian and other international markets to suit the diet of customers with gluten, dairy and nut intolerance, diabetes and those who wish to control weight or have a healthier diet without compromising taste. Commercial and Corporate Law specialist. Business Law & Business Advisory. Multinationals, SME's, Not-for-Profits (NFP), Entrepreneurial, International Trade, HNW Individuals, Intellectual Property, Real Estate, Investment, Import and Export, Distribution, litigation and international disputes. Our focus is on the legal needs of businesses and their owners, whenever they have opportunities (or challenges) with customers, suppliers, partners, employees, assets and property, we can help. We work collaboratively with all our clients providing effective legal solutions with a commercial mind. Australia wide. Cross-Border advice: Australia/Brazil. Australian and Brazilian Lawyer. International consultancy. How to do business in Australia & Brazil. English and Portuguese. ​Business-to-business and technology companies often require an end to end solution for their marketing strategy. They need an agency that leads with real day to day goals, data and insights, then follows through with compelling creative, engaging brand messaging and ROI-focused digital strategies. 7Seconds Marketing is an integrated B2B marketing agency that will obtain understanding quickly to your products and services and translates them into goal focused strategies and frameworks. We are located in the heart of Sydney but our clients are global. We could be your entire marketing team or complement your internal marketing teams. We love working with tech companies, service providers or vendors, where there is a need for integrated marketing services from Account Based Marketing strategy to execution. 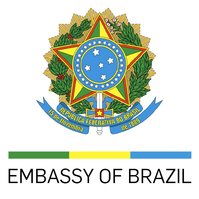 ​Ambassador Sérgio Eduardo Moreira Lima, a career diplomat, graduated from the Rio Branco Institute, where he took the Diplomat Refresher (CAD) and High Studies (CAE) courses. He has a degree in Law from the Rio de Janeiro State University (UERJ) and is a licensed member of the Order of Attorneys of Brazil. Ambassador Lima has a Master’s degree in Public International Law from the University of Oslo. He served at the Brazilian Mission to the United Nations and at the Embassies in Washington, Lisbon and London. He was Ambassador in Tel Aviv cumulative with Ramallah), Oslo and Budapest. He was elected Vice President and President of the Governing Council of the United Nations Common Fund for Commodities. The positions he held in the Ministry of Foreign Affairs, in Brasilia, include Secretary for Internal Control, and Director of the Institute of Research on International Relations (IPRI) of the Alexandre de Gusmão Foundation (FUNAG), which he presided until being designated Ambassador to Australia. His publications include “A Time for Change” (2006), “Imunidade Diplomática – Instrumento de Política Externa” (2004), (Diplomatic Immunity – an Instrument of Foreign Affairs), “The Expanding Powers of the UN - Security Council and the Rule of Law in International Relations” (2009), “A Reflection on the Universality of Human Rights - Democracy and the Rule of Law in International Relations” (2009) and “Diplomacia e Academia: o IPRI como instrumento de política externa” (2014) (Diplomacy and Academia: IPRI as an instrument of External Relations). Among the many awards he has received are the Grand Cross of the Order of Rio Branco, the Hungarian, Norwegian and French Orders of Merit, the Portuguese Order of Christ, the British Royal Victorian Order and the Austrian Grand Decoration of Honour in Silver. Ambassador Sérgio Eduardo Moreira Lima presented his credentials in Australia on 29 November 2018. He is Ambassador-designate to Fiji, Papua New Guinea and Vanuatu.